Robert E. Miller Centre North - Our Indoor Home | Far Post Soccer Club, Inc.
Far Post's home for the months of November through early April is the Robert E. Miller Centre North at the Champlain Valley Exposition in Essex Junction. Far Post has been in this facility for nearly 10 years and has made a number of improvements over the years to improve the training space. This year we will be installing a new, state of the art Nexxfield artificial turf surface. 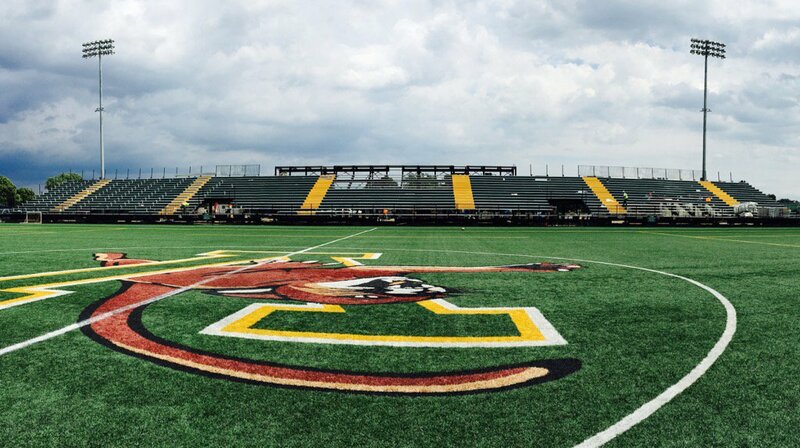 The old home of the University of Vermont men's & women's soccer programs, Centennial Field is one of the nicest natural grass fields in all of Vermont. We have 9 teams training here for the spring months. Centennial Field will be the location for all tryouts in July for the 2017/18 season. St. Michael's College boasts an impressive athletic complex with a full-size artificial turf field and 2 natural grass fields. Far Post has been using this facility more and more, with the artificial turf offering teams a chance to get outside early and the grass fields serving us for the spring and summer months.